Why use a mortgage broker to finance your French property? FrenchEntrée > Guides to Buying your French Property > French Mortgages > Why use a mortgage broker to finance your French property? If you’ve been thinking about purchasing a property in France for a while, or it is something that you are considering looking into in the future, you are no doubt likely to need to consider how you are going to pay for it. Over the past 20 years, the majority of non-resident property buyers in France have financed their purchases using money raised against a primary residence in their home country. However, using a French mortgage is growing in popularity for a number of reasons, including historically low exchange rates and higher costs and restrictions of raising finance on property in the UK, Ireland or elsewhere. If you are considering taking out a French mortgage, your first question may be whether or not to use a French mortgage broker or approach a lender directly – here we look at both options. As a general rule, the mortgage market in France is less developed than in the UK, US or Ireland and, for residents at least, using a mortgage broker is a lot less common. If you go into an estate agent in the UK to purchase a property and enquire about mortgage options it is likely that you will be introduced to a mortgage broker who works closely with the agent. What they certainly won’t do is introduce you directly to a high street lender. However, in France, it is still very common for an estate agent to work with one or two lenders directly – the concept of a mortgage broker giving you access to the entire market is still fairly rare. All French banks offer different products and it isn’t the case that each bank offers each product. Some only offer repayment mortgages, some only offer fixed rate mortgages and the majority of banks won’ t consider raising finance against an unencumbered property that you already own. Each of the French banks also has different criteria when judging affordability. If your income is complicated, this will need to be explained very carefully. Not all lenders are comfortable lending to self-employed clients, while others are uncomfortable considering company directors, etc. Life assurance requirements vary greatly. Some lenders require you to take out their in-house life insurance, and some will allow existing or external policies to be assigned to them or used to cover the loan. Some lenders don’t even require life assurance to be taken out. Approaching a good French mortgage broker has a number of advantages as they will have access to the entire French mortgage market. 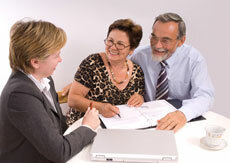 They will be able to talk through your individual circumstances, understand your financial situation and the type of mortgage product you are looking for, and then search the entire market to ensure you receive the most competitive quote.A broker will also have a good understanding of both your domestic financial services market and the French mortgage market, and be in a strong position to explain any differences as well as managing your expectations about the process and what is involved.Furthermore, because of the volumes of business introduced by some French mortgage brokers it is likely they will have access to discounted products and margins that are not available when approaching lenders directly.Finally, a good French mortgage broker will speak fluent English and French ensuring they will be in pole position to look after every aspect of the transaction to ensure it proceeds as smoothly as possible. Speaking fluent French will allow them to liaise with any third parties involved in the transaction such as the notaire, agent or builder. Whether you choose to approach a bank directly or the services of a French mortgage broker it is important you are aware of all of the options available.